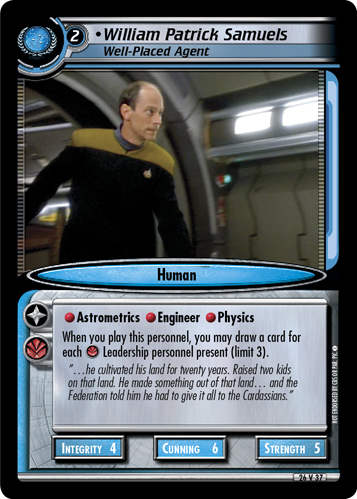 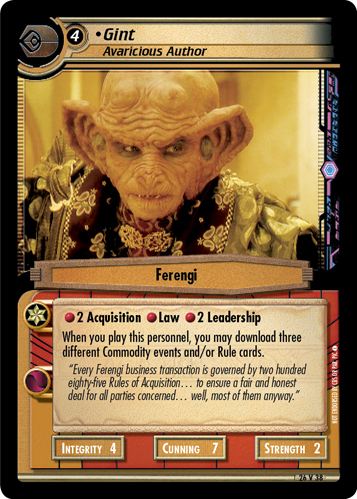 When you play this personnel, you may download three different Commodity events and/or Rule cards. 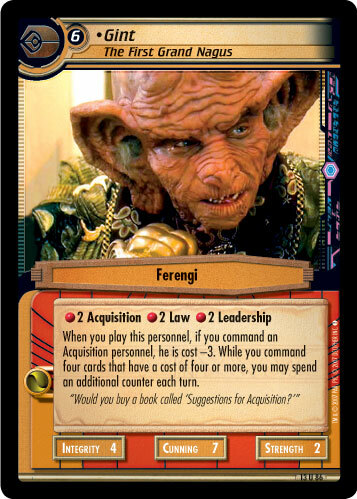 "Every Ferengi business transaction is governed by two hundred eighty-five Rules of Acquisition... to insure a fair and honest deal for all parties concerned... well, most of them anyway." 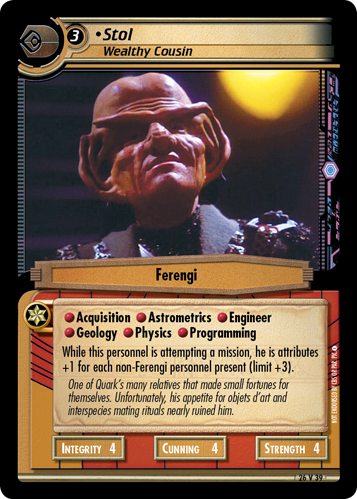 Image Source: Deep Space Nine: "Body Parts"